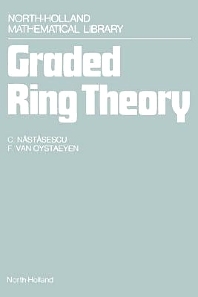 This book is aimed to be a ‘technical’ book on graded rings. By ‘technical’ we mean that the book should supply a kit of tools of quite general applicability, enabling the reader to build up his own further study of non-commutative rings graded by an arbitrary group. The body of the book, Chapter A, contains: categorical properties of graded modules, localization of graded rings and modules, Jacobson radicals of graded rings, the structure thedry for simple objects in the graded sense, chain conditions, Krull dimension of graded modules, homogenization, homological dimension, primary decomposition, and more. One of the advantages of the generality of Chapter A is that it allows direct applications of these results to the theory of group rings, twisted and skew group rings and crossed products. With this in mind we have taken care to point out on several occasions how certain techniques may be specified to the case of strongly graded rings. We tried to write Chapter A in such a way that it becomes suitable for an advanced course in ring theory or general algebra, we strove to make it as selfcontained as possible and we included several problems and exercises. Other chapters may be viewed as an attempt to show how the general techniques of Chapter A can be applied in some particular cases, e.g. the case where the gradation is of type Z. In compiling the material for Chapters B and C we have been guided by our own research interests. Chapter 6 deals with commutative graded rings of type 2 and we focus on two main topics: artihmeticallygraded domains, and secondly, local conditions for Noetherian rings. In Chapter C we derive some structural results relating to the graded properties of the rings considered. The following classes of graded rings receive special attention: fully bounded Noetherian rings, birational extensions of commutative rings, rings satisfying polynomial identities, and Von Neumann regular rings. Here the basic idea is to derive results of ungraded nature from graded information. Some of these sections lead naturally to the study of sheaves over the projective spectrum Proj(R) of a positively graded ring, but we did not go into these topics here. We refer to  for a noncommutative treatment of projective geometry, i.e. the geometry of graded P.I. algebras.